Meshbox Design announces the 13th Santa released in the Toon Santa series and announces also the Toon Santa 18 bundle of characters. Somehow, Santa always seems to know what you want, and may even give you a special gift on the sly. Secret Santa comes with two different texture sets: general spy clothing as well as more Christmas-y green. This is the standalone version of this model without the other releases of Toon Santa. It still requires you to install Chunk 3D, a free character from Meshbox Design. This character has also been referred to as Toon Santa 18. 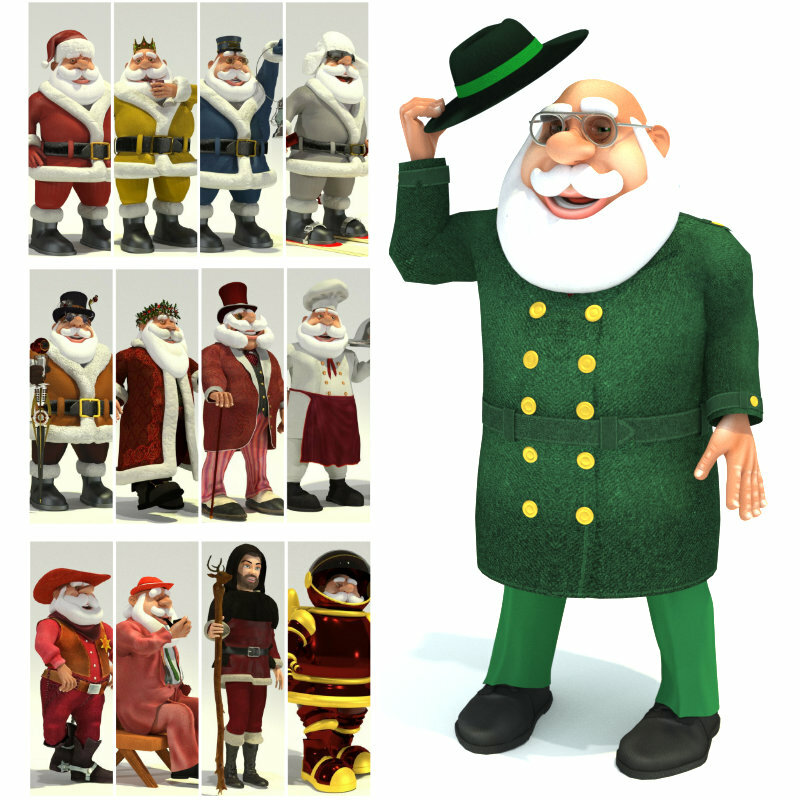 Toon Santa ™ for Chunk™ is the incredible Santa Claus character for use with Poser 9 or higher and DAZ Studio 4.5 or higher. Output will depend on the renderer. Secret Santa uses base texture maps that are compatible with both Poser 3D and DAZ Studio. Toon Santa plays a role in support of NORAD TRACKS SANTA, the NORAD website devoted to tracking Santa Claus, with Meshbox Design has been a corporate contributor to the NORAD Tracks Santa program since 2006.